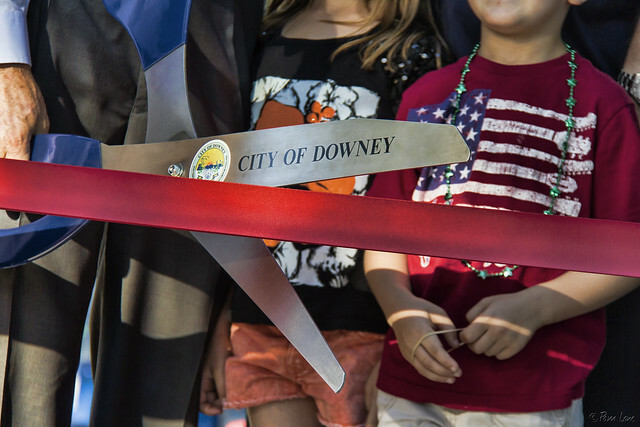 With several snipsof the not-quite-sharp ribbon-cutting scissors, the president of the Downey Kiwanis opened the newly redesigned children’s playground Wednesday night before a huge crowd of excited children, parents, and neighbors. The work has been in progress since sometime around the beginning of July (see More renovation), and I was amazed to see it completed so quickly. 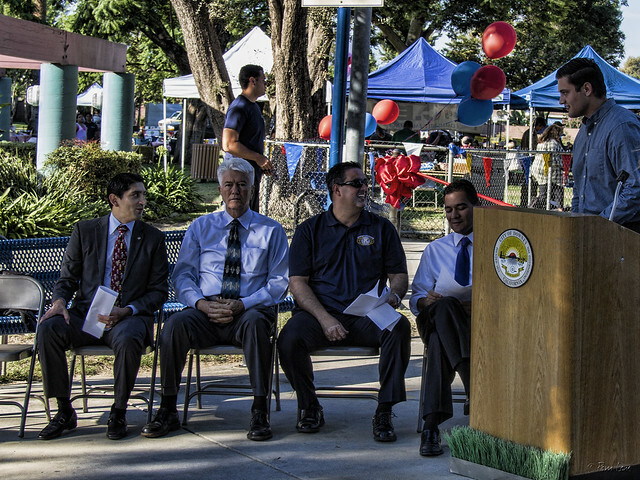 Downey Mayor Fernando Vasquez and Council Member Alex Saab were on hand, along with members of the Downey Kiwanis. 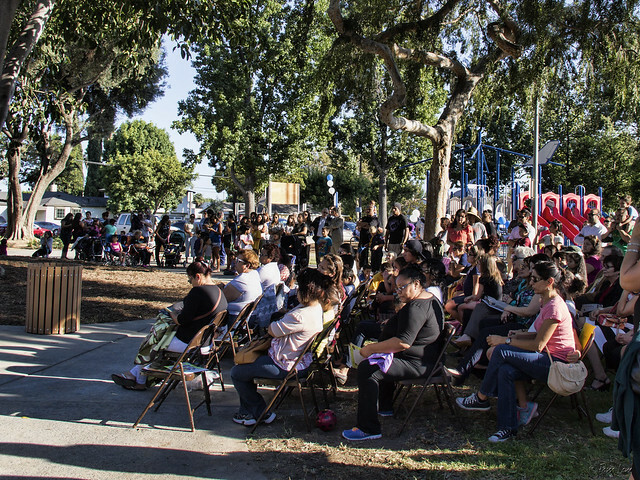 They talked about the history of the park and how the Kiwanis have contributed to the community and to this park. And finally, after that ribbon was down (and several more photos were taken), the kids got to play on their brand new equipment.